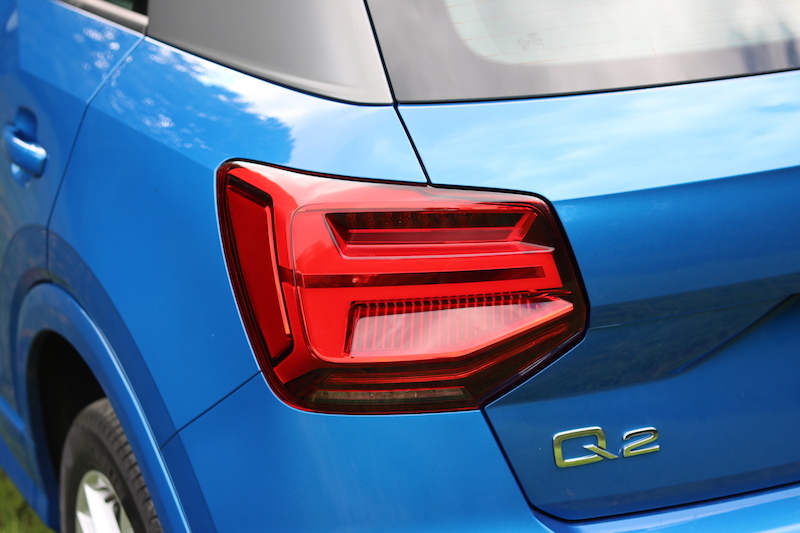 The Q2 is the latest and smallest model to join Audi’s Q range, and it’s a model that has been aimed at younger buyers. 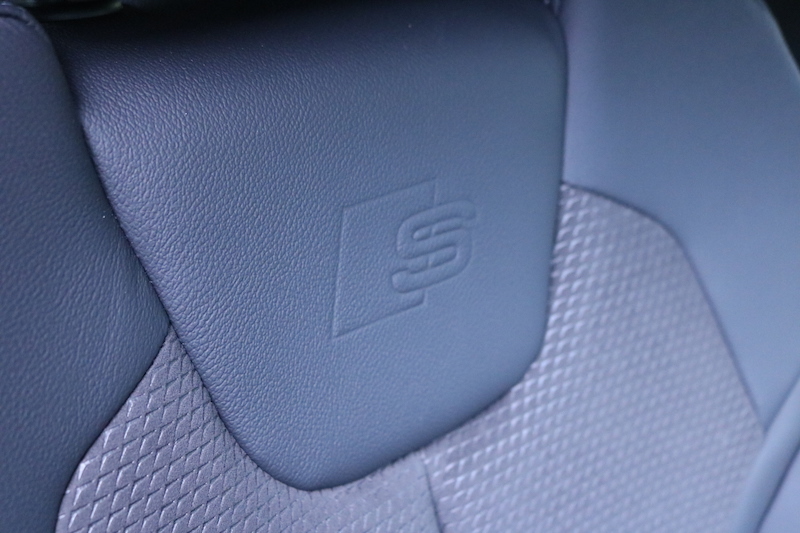 Because of this, the styling is more distinctive and cutting edge in its approach, plus it offers more personalisation than its Q siblings. 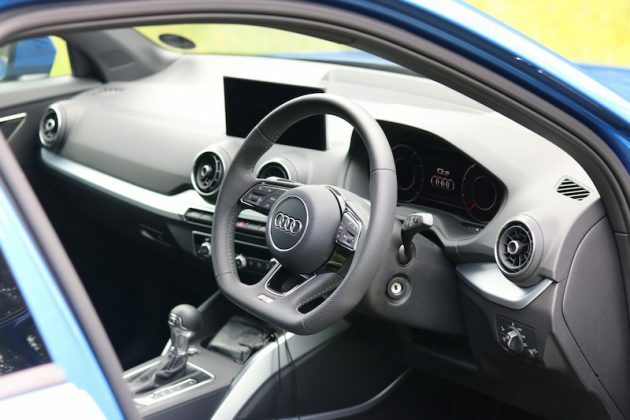 It comes with a good choice of engines, which can either be mated to a 6-speed manual or a 7-speed S Tronic automatic, plus quattro all-wheel drive can be selected depending on the model. So, is the Q2 a compact SUV worth having? Read on to find out. 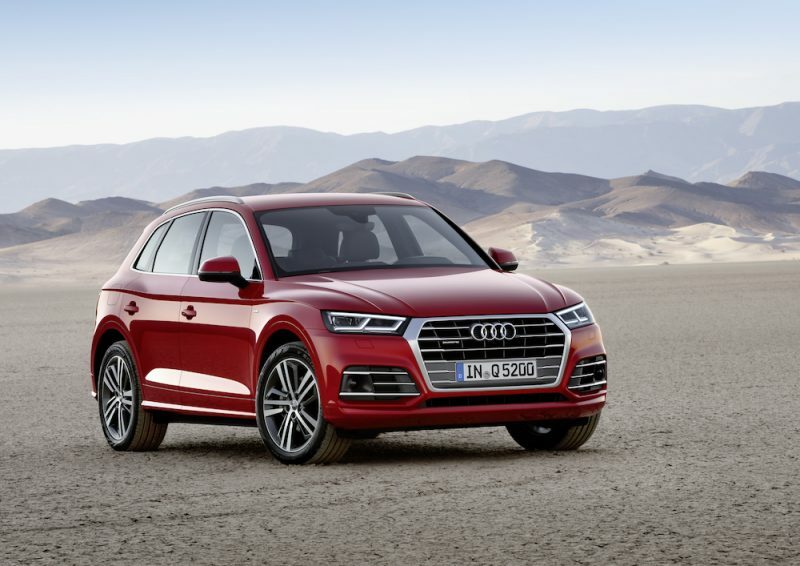 As mentioned, the Q2 has been purposefully designed to appeal to younger buyers, meaning it has a sharper, more angular look compared to other Audi Q models. When I first saw the launch pictures I thought it looked great, but then I wasn’t too sure. Now that I’ve had the chance to see on in the metal up close, I’ve changed my mind again. 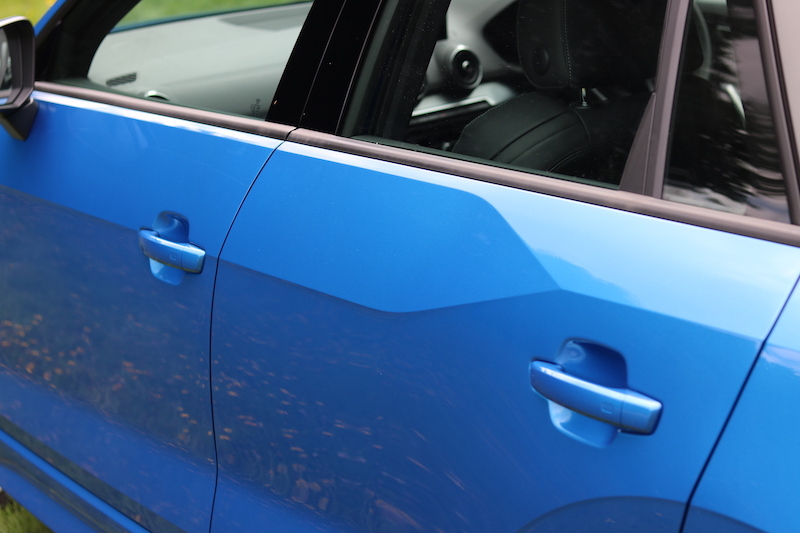 The model tested was finished in the optional Ara Blue (£775), a colour that looks fantastic and really suits the car. 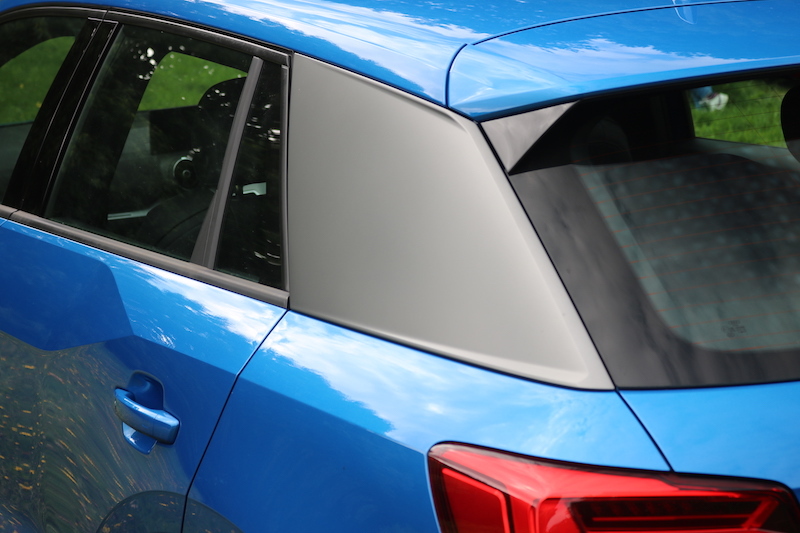 This colour is then complimented by a Titanium grey C-pillar, although you can choose from either Ibis white or Ice silver if prefer. 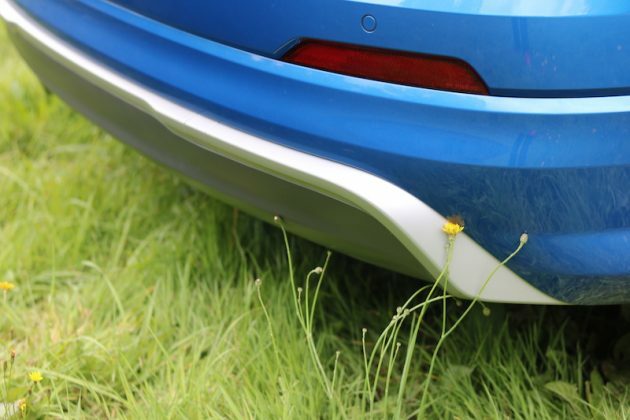 The model tested is the S Line model, meaning you get body coloured bumpers, 18″ alloys, and a double exhaust pipe. The S Line details extend to the inside in the form of sport seats, S Line branded steering wheel and illuminated scuff plates, plus stainless steel sports pedals. The inside gives a nice mix of premium and sporty. That steering wheel is optional sadly (£150). 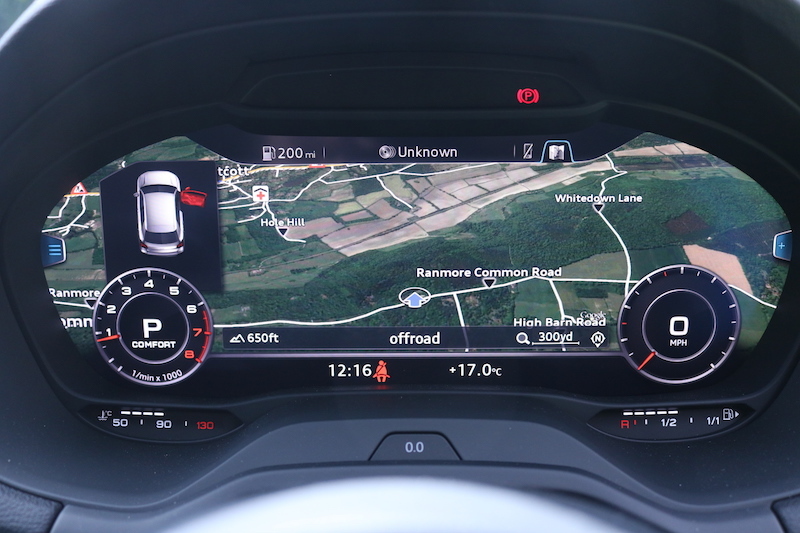 The dashboard is minimal and features soft touch materials, although some harder plastics can be found the lower you go. 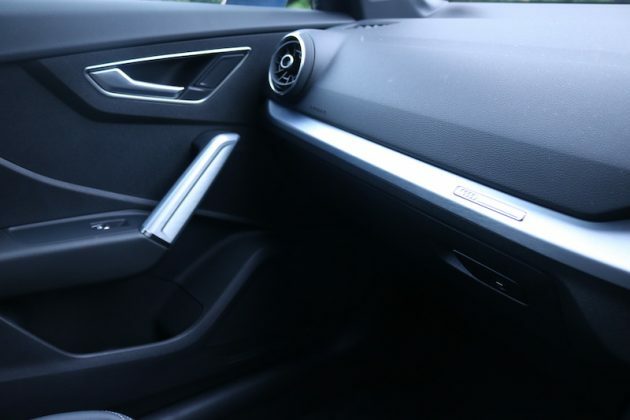 Despite this, the cabin feels well made and put together, so this shouldn’t come as a huge concern. 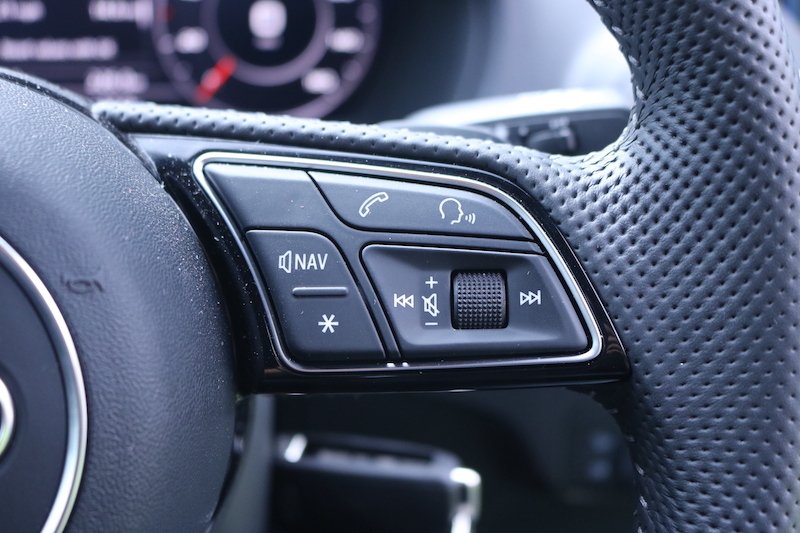 The infotainment system looks very slick indeed and it is operated with a rotary dial, although there are shortcut buttons to make life easier. 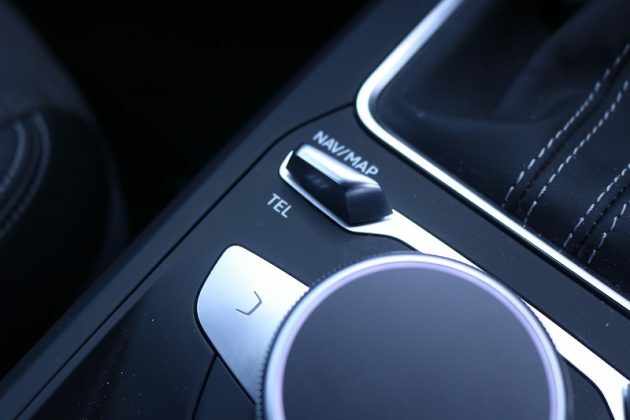 At first you may prefer to have a touchscreen, but the dial system makes it easier to operate on the go, which is a good thing as the ride is a bit busy. The Q2 is available in a choice of four trims, one of which is limited edition. 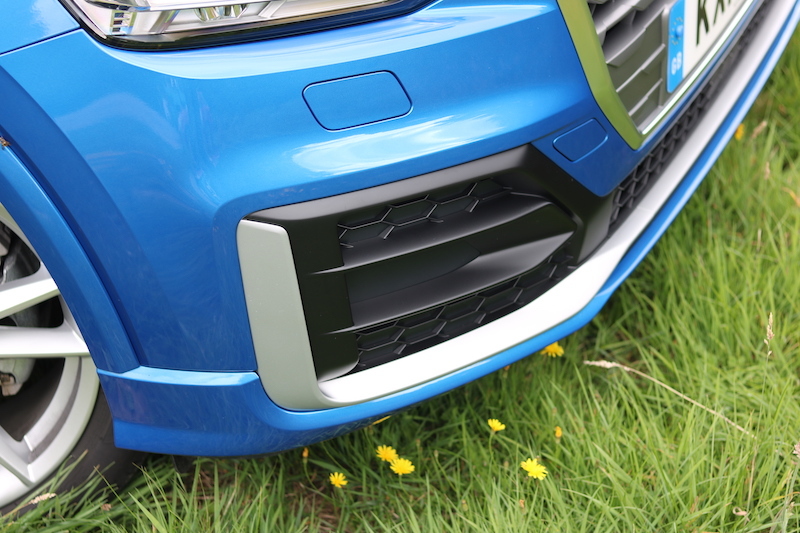 The range starts with the SE (£21,360) , which offers features such as 16″ alloy wheels, air conditioning, rear parking sensors, 7″ infotainment system, cruise control, DAB radio, and Bluetooth. Step up to the Sport model (£22,760) and this will add navigation, automatic lights and wipers, 17″ alloy wheels, Audi Drive Select and front sport seats. 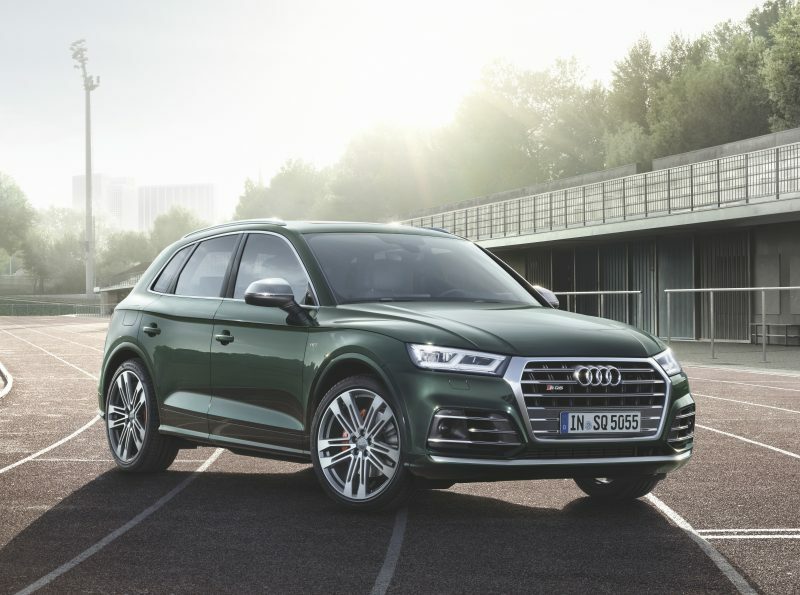 The S Line (£27,160) also offers front sports seats, but adds to this with sports suspension, 18″ alloys, LED front and rear lights, S Line styling pack, body coloured bumpers and LED interior lighting pack. The Edition #1 (£32,150) offers a similar spec to the S Line, but with more style including Quantum grey paintwork, chunky 19″ alloys and Nappa leather sports seats. This model did have a few options ticked though, one of which being the simply beautiful Virtual Cockpit. 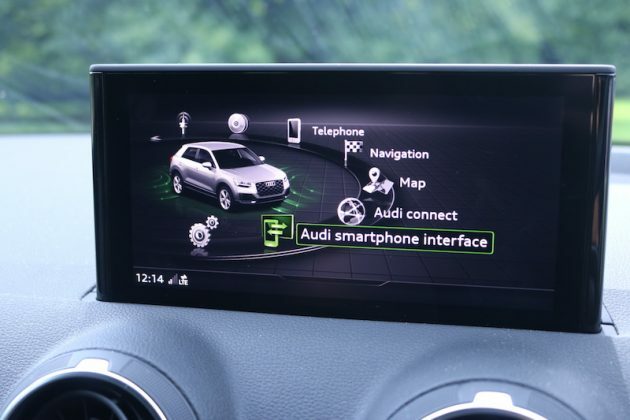 This 12.3″ digital display replaces the traditional dials to give you a cutting edge information screen which has a variety of different layouts. 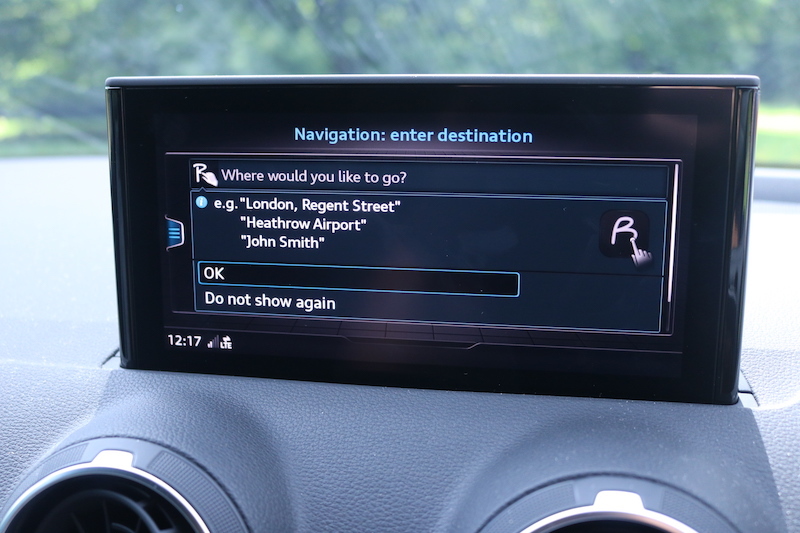 My personal favourite is seeing the sat nav in all its glory as it fills the whole display with clarity and detail. 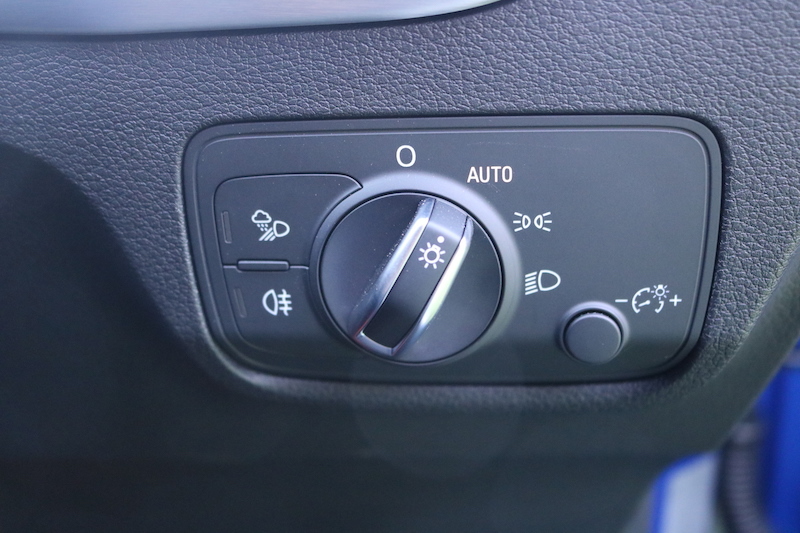 I won’t lie though, this option is not cheap, it’s part of the technology pack which will set you back a cool £1,595, but if you can spare that cash be sure to tick that box. The technology pack also includes the enlarged infotainment screen as well as Audi Connect and wireless phone charging so it’s more than just a pretty screen. 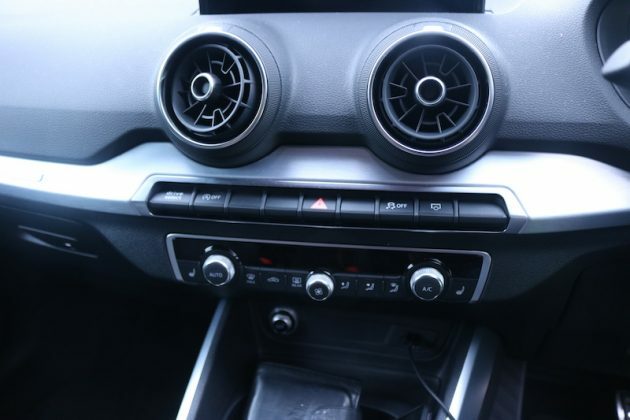 Another option worth going for is the Comfort and Sound pack; this adds front parking senors, hill hold assist, heated front seats, plus a Bang and Olufsen sound system. 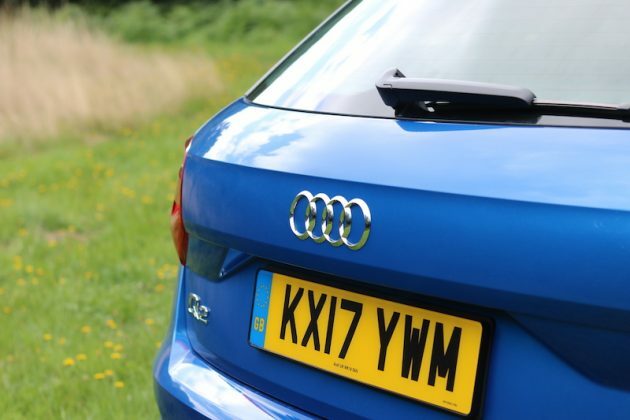 Audi can offer you plenty off different options, so be careful not to go tick-happy, otherwise your wallet will get a decent bashing. 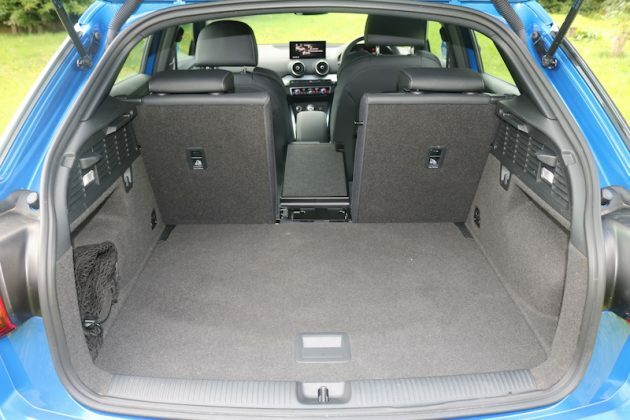 For example this model had over £4,000 worth of options on it with room for plenty more. 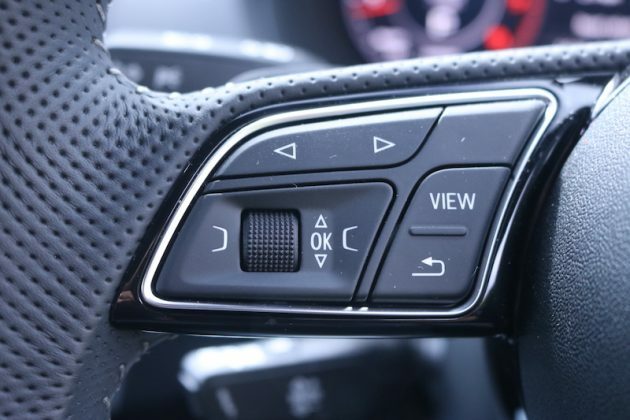 The Q2 may not have the best ride – I’ll get on to that later – but getting a comfortable driving position is very easy as both the steering wheel and seat have good adjustment. 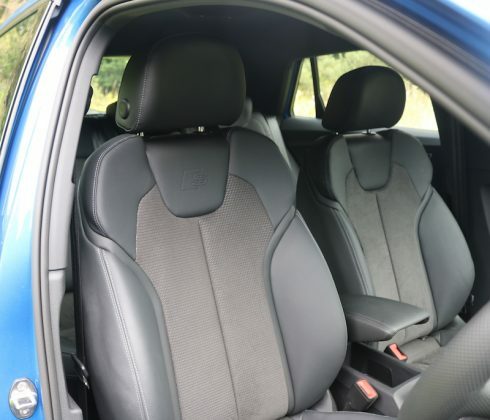 Options such as lumbar support and electronic seat adjustment will make life easier, although I feel there is no real need for such additions. 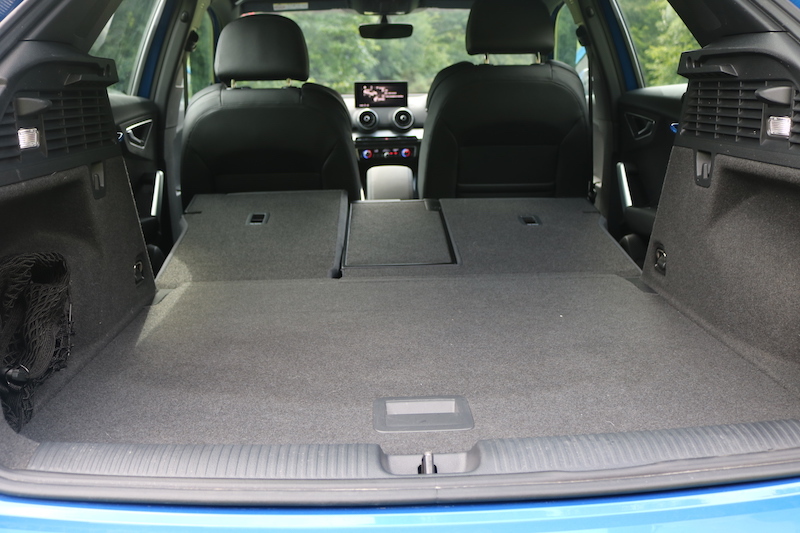 Room in the front is more than agreeable and there is enough headroom to be getting on with, plus there is a decent amount of storage. A few have mentioned that space in the back is cramped for taller passengers, but my 6 foot 2 frame had no such problem. 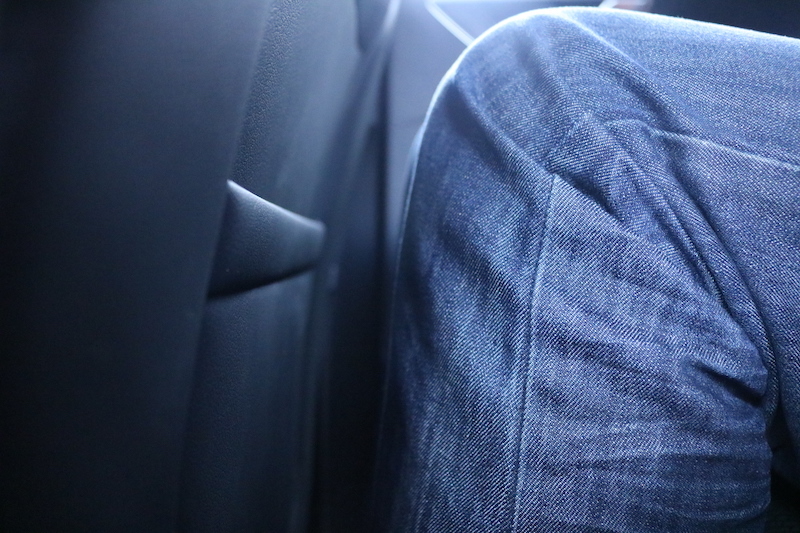 Granted, I didn’t have acres of room, but I had enough room to say I was comfortable, although the back is best reserved for two, rather than three adults. 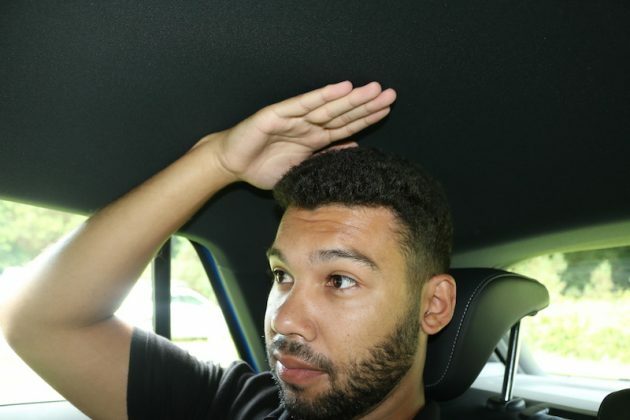 The middle seat is narrow and positioned higher up, meaning that you are likely to find your scalp receiving an inadvertent massage from the dark rooflining, plus you’ll struggle to find somewhere to put your feet due to the lump running through the middle of the car. 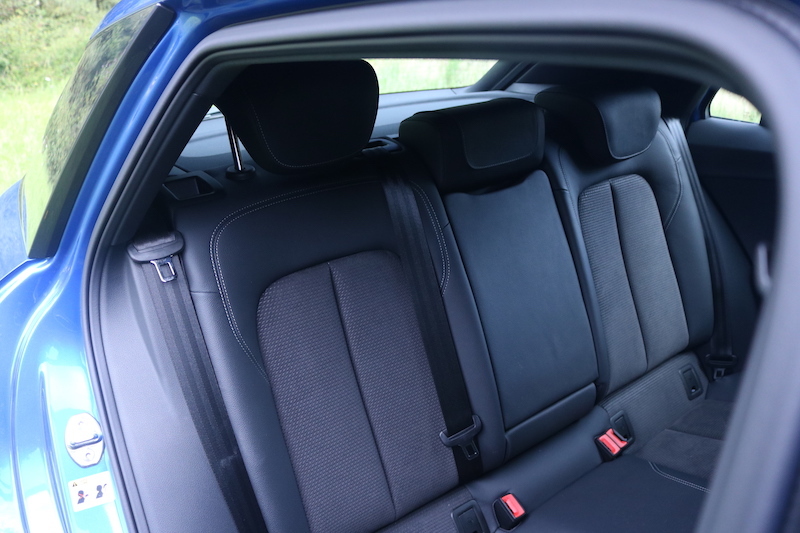 The aforementioned dark headlining is very nice, but it does mean that the back of the car can feel dark and dingy. 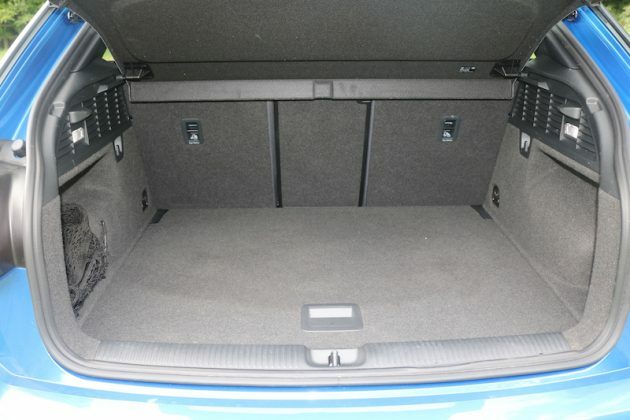 The boot is a decent size though – 405 litres is on offer here, but if you need more room you can fold down the rear seats to give you a much improved 1050 litres. The loading area is flat, and to make life easier, you can select option such as an automatic tailgate or in the case of the model tested here, 40/20/40 seats. This allows you load long, thin items (skis for example) through the middle of the car without losing the ability to carry people in the rear. 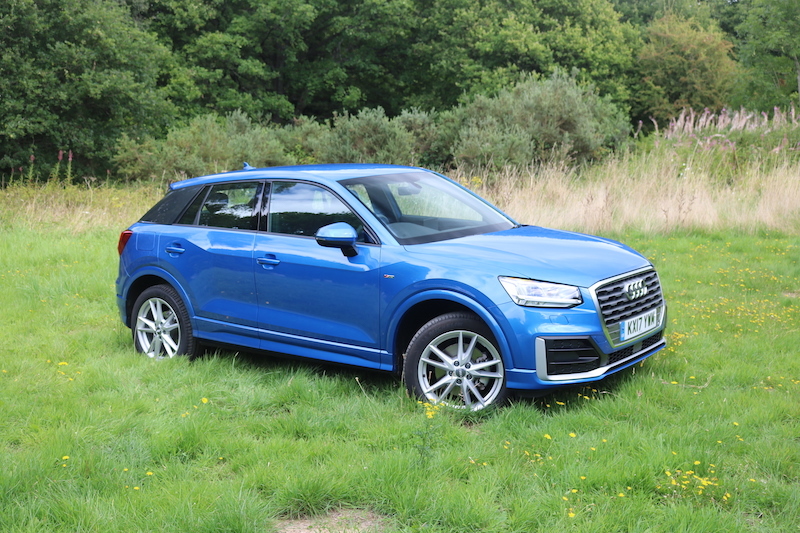 The Q2 is available with a choice of two diesel and three petrol units ranging from 114bhp to 187bhp, but the engine on test sits nicely in the middle. 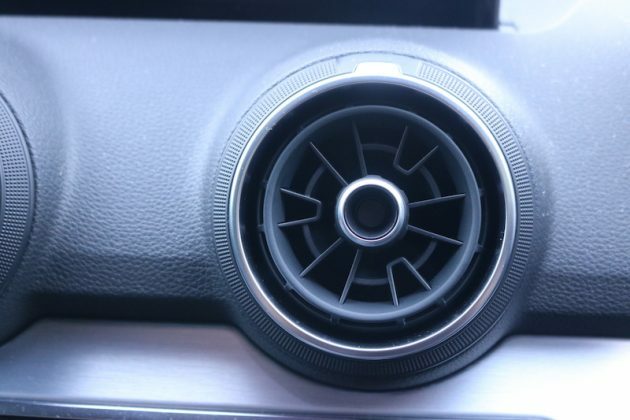 It’s a 1.4 litre turbocharged petrol unit which produces 148bhp with 250Nm of torque. 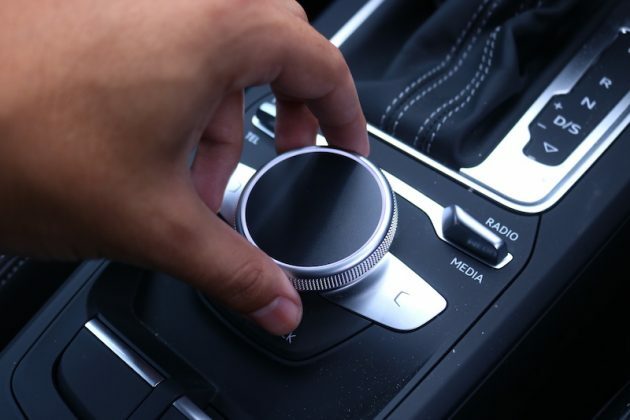 It can either be mounted to a 6-speed manual gearbox, or in this case a 7-speed S Tronic auto ‘box. 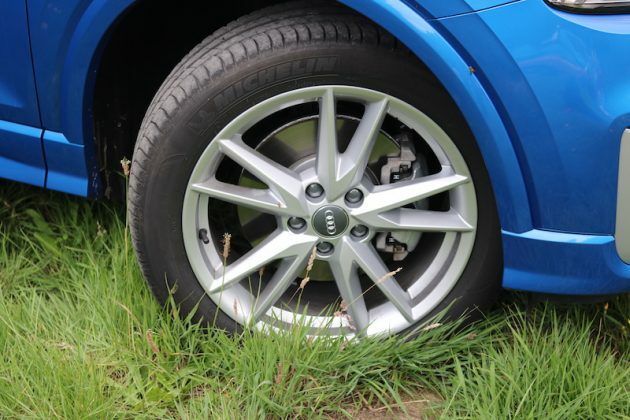 Quattro all wheel drive is reserved for the 2.0 litre engines, meaning this model is front wheel drive. 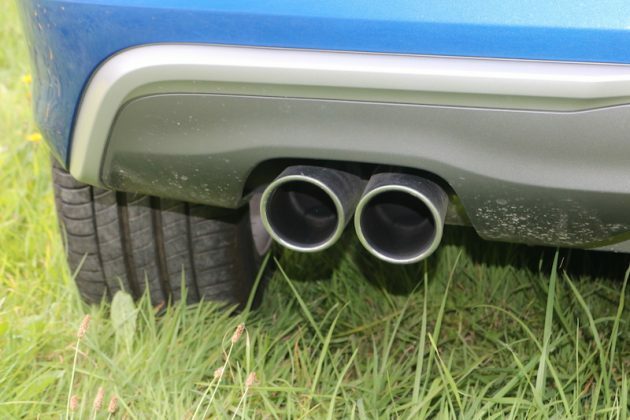 This won’t be a major concern to most buyers though, as it’s more likely to be hanging around the trendy parts of town, rather than getting knee deep in mud. 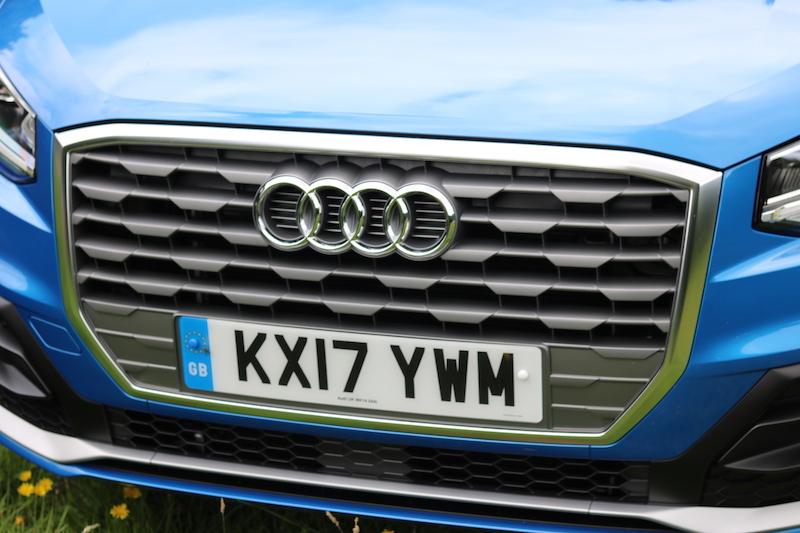 Back to the engine though – the 1.4 litre performs very well. Not only is it happy to rev, but it’s refined too. It will make a decent noise as it approaches the redline, but it’s quiet when you are cruising. I think it suits the car really well. As does the S Tronic gearbox, which offers seven speeds and changes so smoothly, even your hair follicles won’t be disturbed. 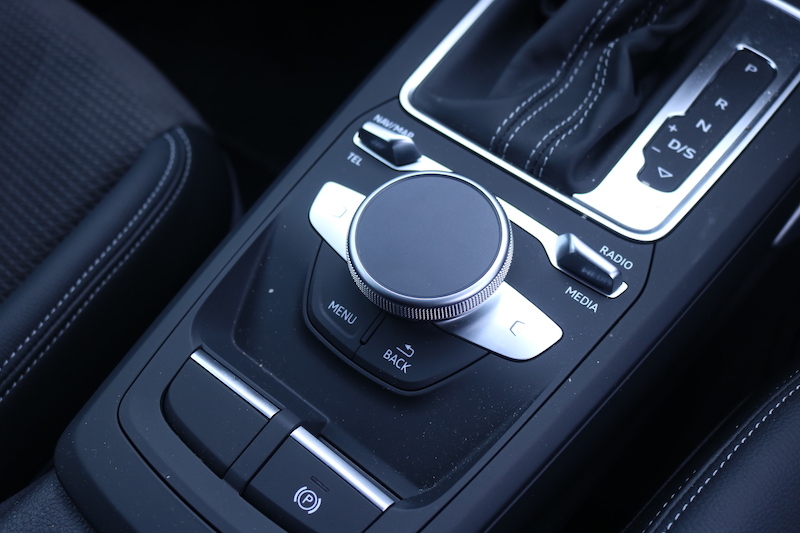 Whether you leave it to its own devices or change the gears yourself using the paddles, you’ll find it offers a pleasurable experience. Mind you, it isn’t perfect. 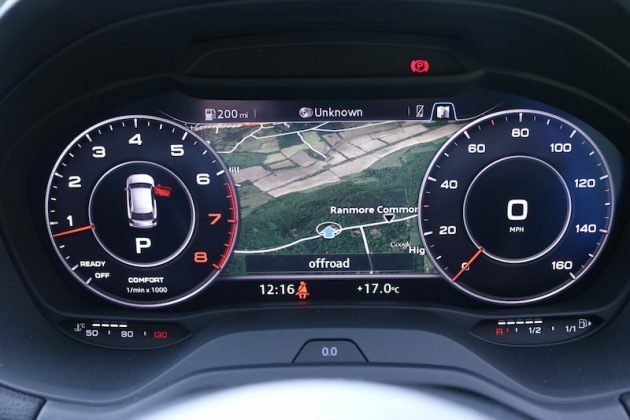 At the bottom of the rev range you’ll find it needs a few moments to wake up and get its act together, and in ‘Efficiency” mode, it sometimes couldn’t work out if it should be in second or third. Mind you, that is a small complaint. 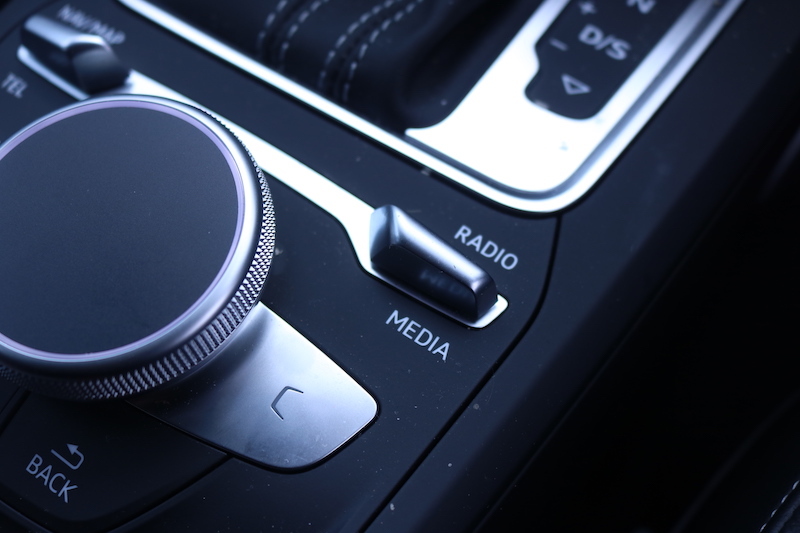 Speaking of modes, Sport model upwards will give you Audi’s Drive Select system which gives you a choice of five driving modes – Efficiency, Comfort, Auto, Dynamic and Individual. 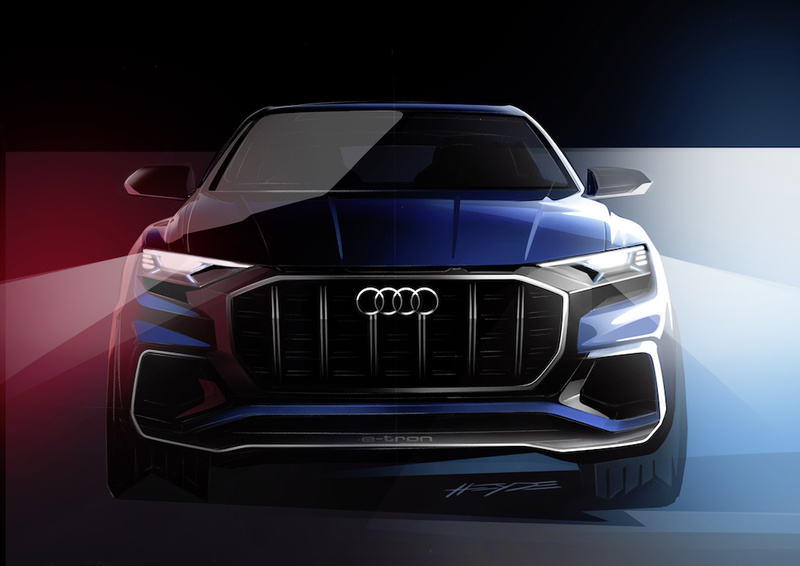 The former three will present the Q2 in its more inert setting – the steering is lighter and the engine is more docile, with gearchanges coming sooner. Dynamic on the other hand, makes the car more responsive as well as giving the steering a very satisfying ‘chunkiness’ to its weight. 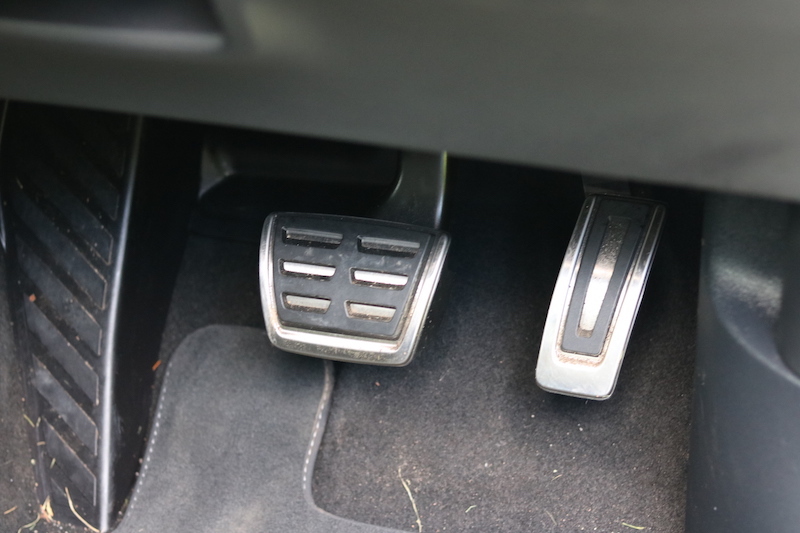 The gearbox will also hold on to gears for longer for improve acceleration. Individual gives you the chance to tailor make your driving settings, which will also include the suspension if you tick the options box for adaptive dampers. 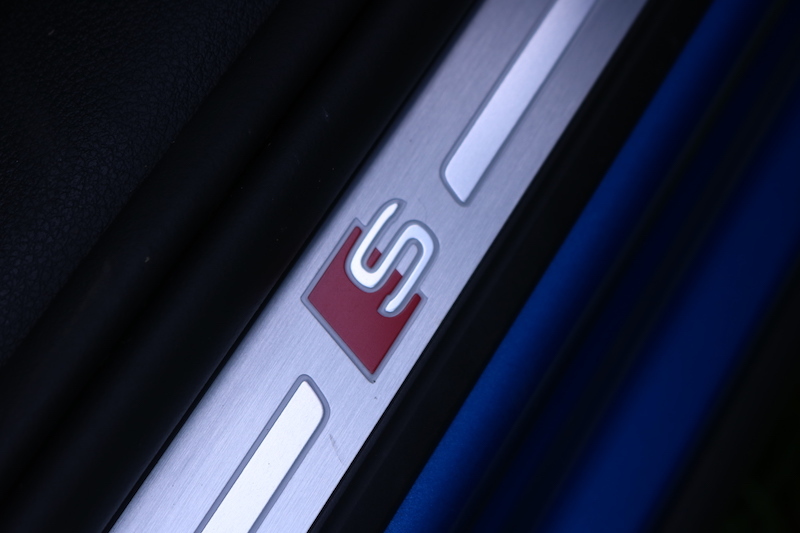 Speaking of the springy stuff, the S Line is available with sports suspension at no cost, but the model on test had the standard dynamic suspension, which is just as well as the sportier set up may have been to much to bear. Even with the standard suspension, the 18″ alloys make the ride rather jiggly to say least, although it’s not what I’d call crashy or uncomfortable. 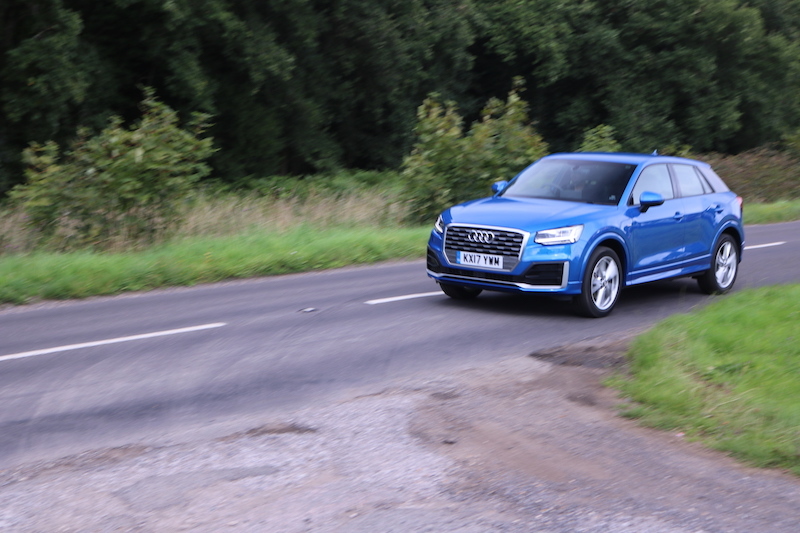 The upside of this is that the Q2 is very capable in the corners; all models get the same progressive steering lifted from the S3, meaning it gets faster the more you turn the wheel. Add that to the heavier steering set up in dynamic mode and you’ve got an SUV that corners like the hatchback on which it’s based on. Yes, there is a tad more body lean due to car’s height, but the handling is most certainly one of the car’s strongest points. 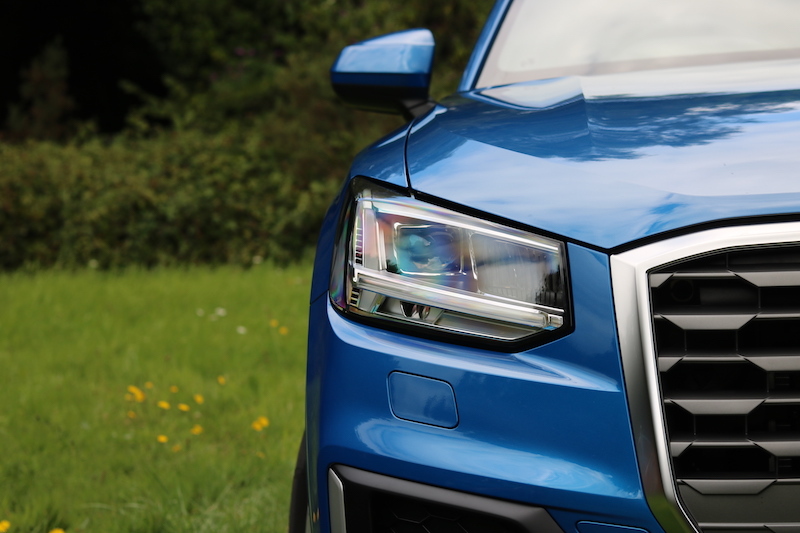 There is also a high level of grip on offer, so even with front wheel drive you’ll find the Q2 to be sure-footed. It’s not quite enough to make your heart beat to the point where it’s about to break out of your chest, but it’s enough to make you raise your eyebrows in approval. Lastly, let’s touch upon refinement, I mean this is an Audi after all. 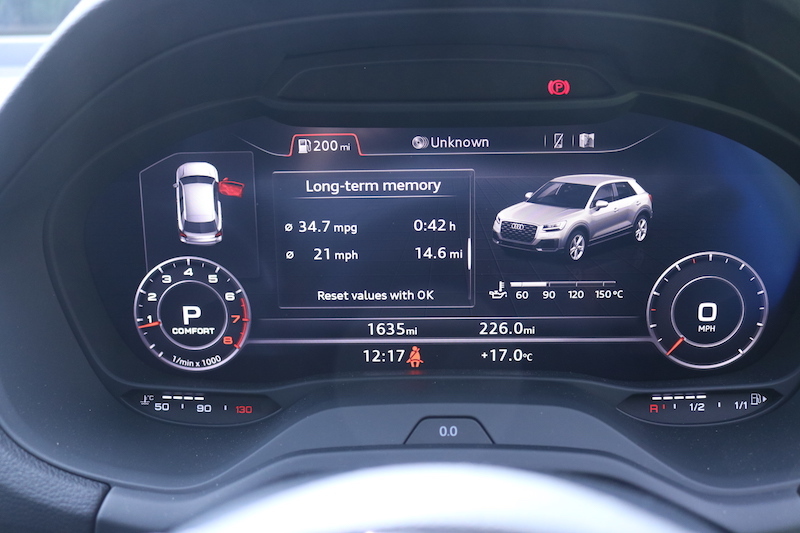 Like the handling, this is an area where the Q2 does well. Even with big, chunky alloys, the tyre noise is nowhere near as audible as I expected, and the wind noise is decent as well. The engine is happy to work away in near silence when you are cruising making it an easy car to drive for long periods. 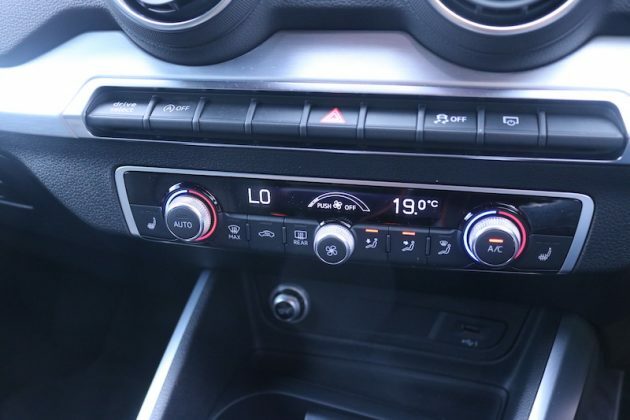 Those of you that are after economy should look at the 1.6 litre diesel, as that offers a maximum combined figure of 65.7mpg with 113g/km. On the other end of the scale, the most powerful petrol is able to muster a maximum of 44.8mpg with 144g/km. 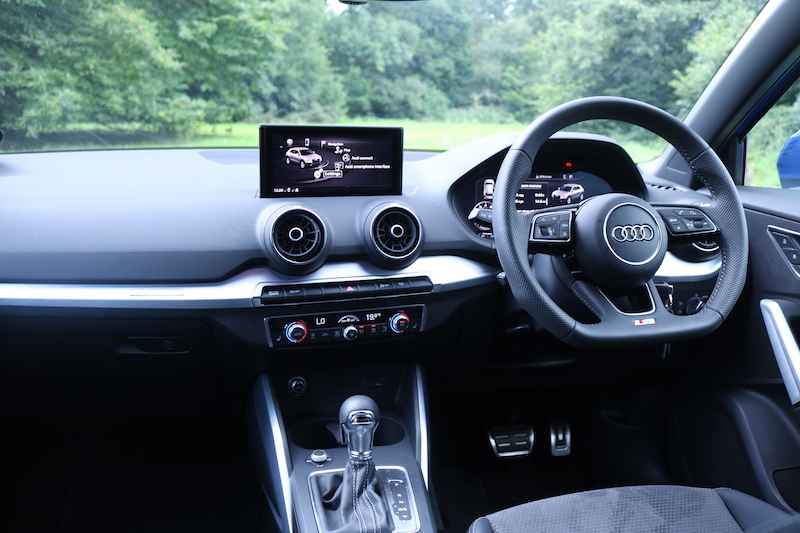 The 1.4 litre petrol tested here is quoted to have up to 54.3mpg with 119g/km, but with the bigger alloys, this drops slightly to 52.3mpg with 123g/km. 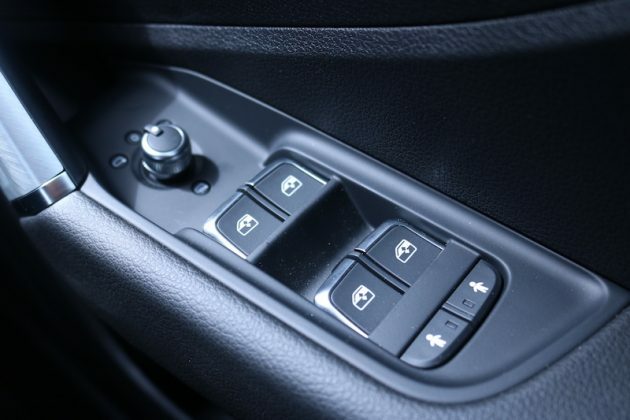 The 1.4 litre engine also has a feature called ‘cylinder on demand’, which shuts down cylinders two and three when the car is cruising for better efficiency – very clever indeed. 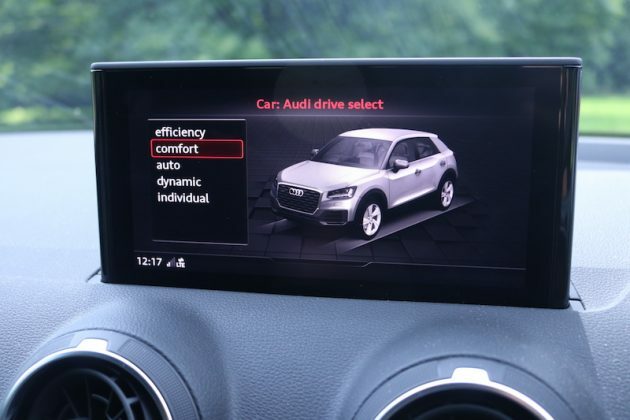 In my experience, I was able to get a combined figure of 44mpg using the efficiency mode, although that will quickly fall if you exploit the car’s oomph in dynamic mode. It’s also worth mentioning that the manual version of this model would give you less economy, so that is another reason to go with the S Tronic, despite the increase in price. 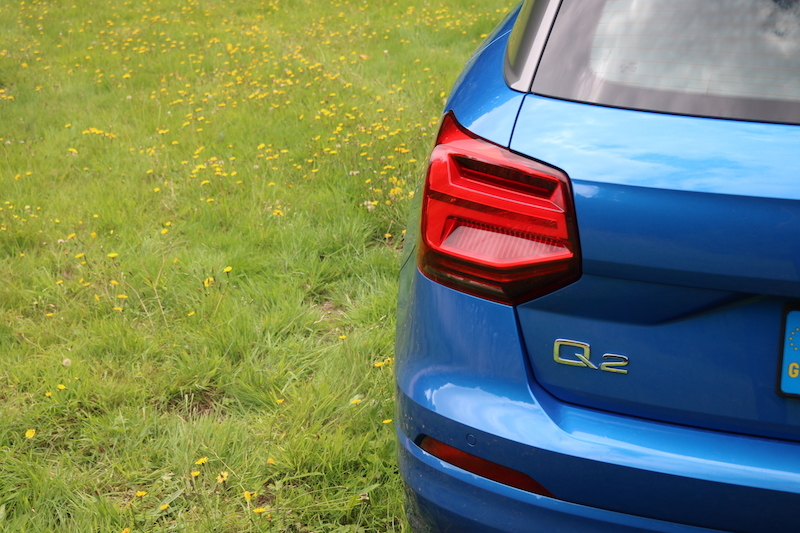 There is plenty to like about the new Q2; it’s sharp in its design, it drives well, comes with a good choice of engines and is able to undercut its premium rivals. There are of course areas that aren’t as good – the ride for example, or the fact that a lot of the kit is optional. Also, despite it being cheaper than its Mini/Mercedes/BMW counterparts, it’s still a fair bit of money to part with, especially for the younger buyers on which it is aimed at. 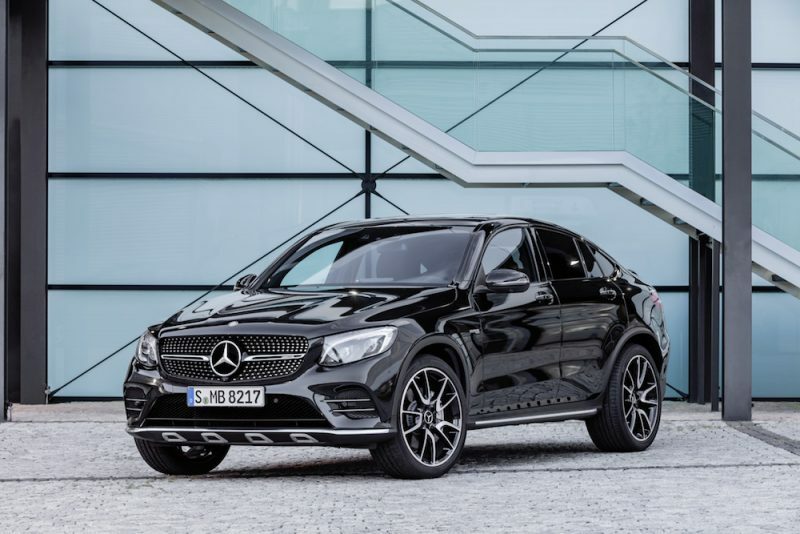 However, if it’s a compact SUV that falls within your budget then I really think it should be high on your list, especially if you’re looking for something that is premium and likely to make the your neighbour’s curtains twitch. 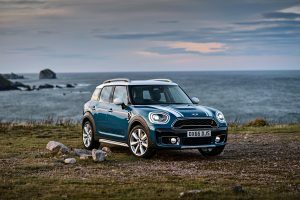 With a price point of over £22,000, the Mini Countryman would prove to be the Q2’s main rival. 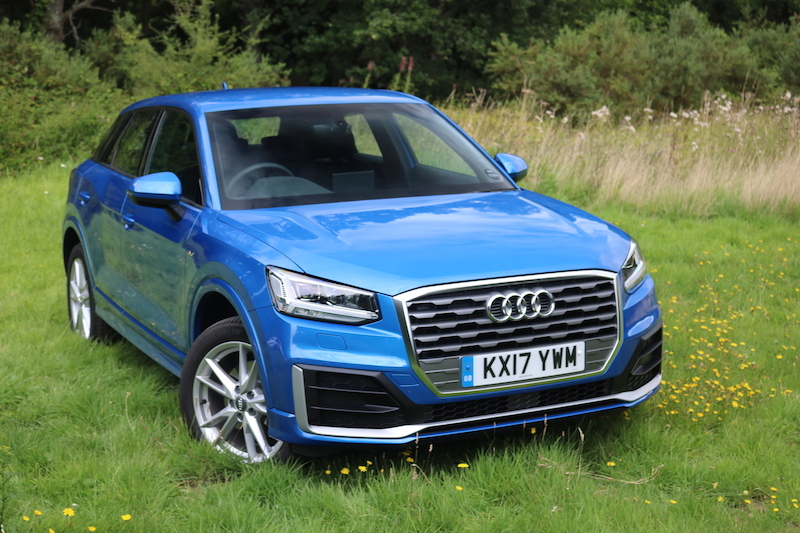 It’s not quite as good looking as the Q2, but it still has the Mini charm, plus it also has a good level of personalisation. Like the Q2 it can quickly get pricey when the options are ticked, plus it’s known for having a firm ride. 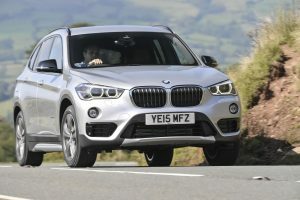 The X1 is on the substance at a quick disadvantage as it costs more money and in my eyes it’s not exactly a looker. 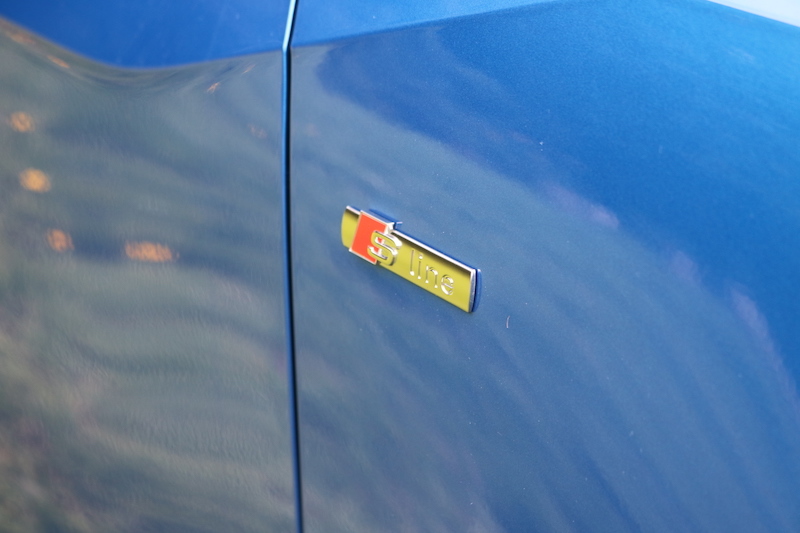 It makes up for it with decent handling and a good choice of engines, so this could be bought based on badge preference. 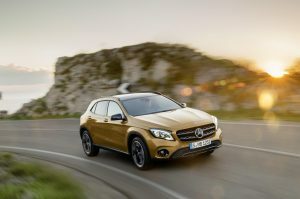 Again, the Mercedes will cost you more money, plus I don’t think it’s a great looker either. 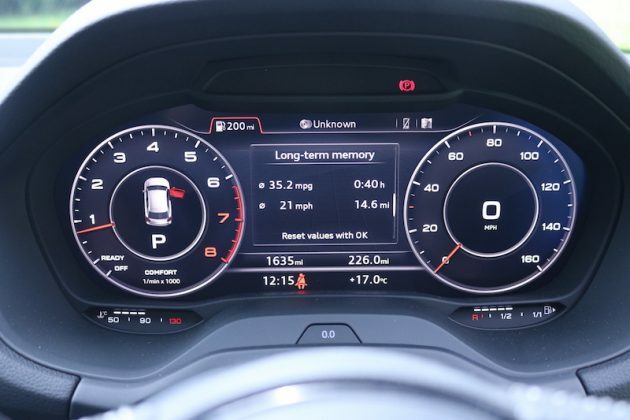 Others have commented that the diesel engines are noisy and that the handling is nothing to write home about, so it looks as if the Q2 is able to run four rings around it.